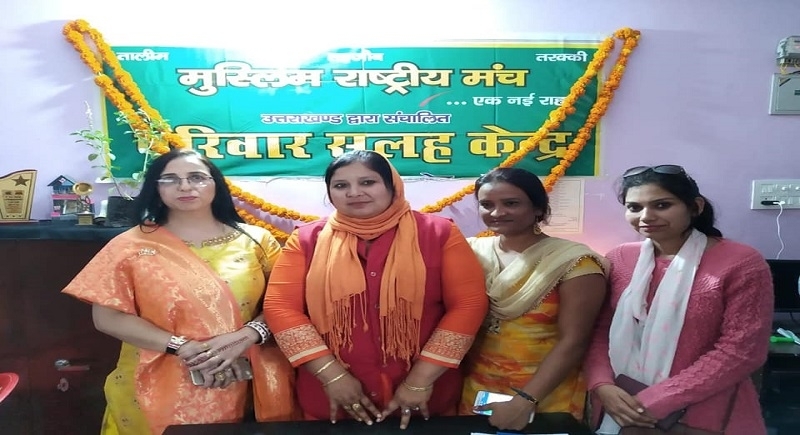 Dehradun, Nov 10: The Muslim Rashtriya Manch (MRM) on Friday launched the third Parivar Sulah Kendra or Family Disputes Redressal Centre here. 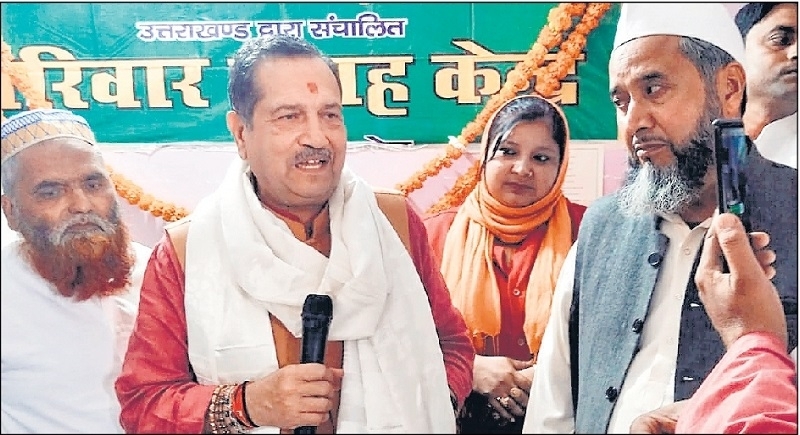 Indresh Kumar, MRM Patron and senior RSS functionary formally launched the centre during his visit to Dehradun on Friday. This is the first of its kind centre set up in Uttarakhand state to pre-empt the triple talaq cases among Muslim couples. The MRM has already set up such centres at Jaipur in Rajasthan and Lucknow in Uttar Pradesh. The centre at Dehradun came two months after the Union Cabinet approved the ordinance making triple talaq a cognizable and punishable offence. The system of talaq was followed by the Muslim men to divorce their wives by repeating the word talaq thrice in a row. Indresh kumar while inaugurating this centre said that talaq itself is considered as crime in the eyes of the Allah who detests such crimes. We are trying to create awareness to see that such instances do not take place in the Muslim community, he added. The MRM has launched the campaign against triple talaq practice long before and passed resolutions demanding its abolition. Nearly 22 Islamic countries including Saudi Arabia and Pakistan have negated this practice from their countries. It was allowed only India supported by the All India Muslim Personal Law Board and other such institutions. Seema Javed, Uttarakhand state women's cell coordinator said that the move to launch such a centre here was aimed at arresting the growing incidents of triple talaq. “The unit has been launched because this kind of separation of Muslim couples leads to disintegration of the families, which in turn, leads ti the disintegration of the society as a whole”, she said. “The practice of triple talaq is also against the fundamental tenets of Quran. As per Islam's tenets, talaq can't be given instantaneously but has to go through the process of three months”, she explained. She further said that the Parivar sulah kendra aims at creating awareness among Muslim men and women against this social practices. The centre will also offer similar counselling for couples of other communities, she said. This is a purely social initiative, she said.